When it comes to depression, irritability is an important symptom in children and adolescents. In fact, irritability in children can replace the depressed mood criterion for major depressive and dysthymic disorders, according to the DSM-IV. Additionally, irritability is frequently observed in children with bipolar disorders. Everyone is irritable at some point, especially children who are overtired, stressed or not feeling well. Moreover, puberty may be a time of frequent irritability. These temporary irritable moods are usually normal and do not typically interfere with a child's daily functioning. However, when it comes to irritability associated with depression, the emotion is more than just an overly sensitive reaction. For example, a depressed child may become very irritable if a friend cancels plans with her. Her irritated mood may last for at least two weeks and affect her interactions with her family and friends and impair her ability to do school work. Other small irritations, like a crying little brother or an unfavorable lunch, add to her negative mood and increase her frustration level. In some cases, it may not be clear what has made a depressed child irritable. It may just seem like he is always in a "bad mood" or easily upset. People may start to withdraw from him or be cautious around him for fear of her reaction. If this is the case with your child, try to find the cause of his irritability. If no cause can be found, see if the child exhibits other signs of depression. Irritability is a common symptom of other psychiatric disorders in children, such as ADD, conduct disorder and autistic spectrum disorders. So, it is important to know that irritability alone does not necessarily indicate a depressive disorder. It is essential that a trained professional evaluate your child and determine the best diagnosis for him. Every child's course of depression is different. 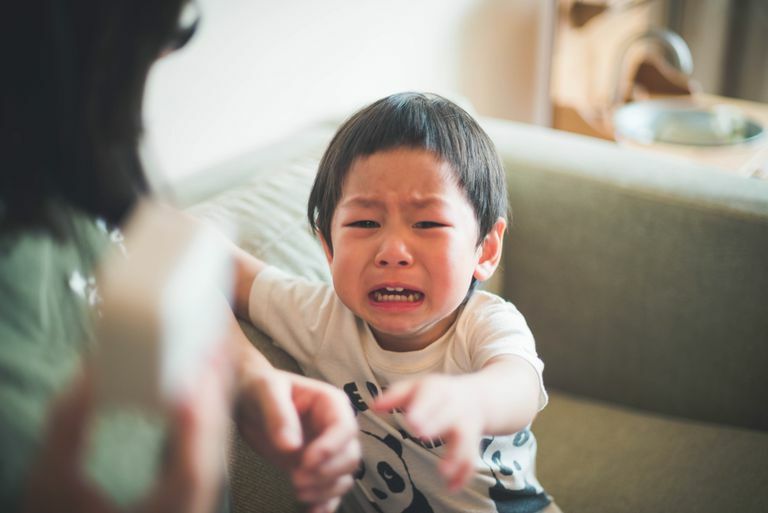 While some children may experience extreme irritability, some may not. Nonetheless, tell your child's pediatrician or mental health provider about any symptoms that you are concerned about. Finding an accurate diagnosis informs treatment, which is essential for her recovery. Daniel J. Safer. http://www.capmh.com/content/3/1/35 "Irritable mood and the Diagnostic and Statistical Manual of Mental Disorders: Commentary." Child and Adolescent Psychiatry and Mental Health. 2009. 3(35): 1-4. Joan L. Luby. "Preschool Depression: The Importance of Identification of Depression Early in Development." Current Trends in Psychological Science August 2010; 19(4). Neil Osterweil. "Irritability in Children With Mood Disorders Has Varying Sources." Psychiatric Times. February 01, 2007.